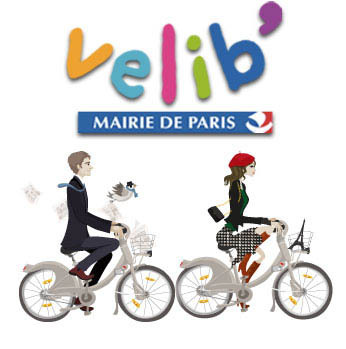 Among the many things I love about Paris is the city’s fantastic 24/7 low-cost bicycle rental program, called Velib’. And I was reminded of my fondness for Velib’ when I saw that because there is a smog problem in Paris this week (caused mostly by unusual weather patterns), bike rentals are completely free until the pollution clears. Yes, the city government has decreed that all one-hour rentals are now completely free as a measure to cut down on the number of cars and taxis on the city’s streets. But even when the program isn’t 100% free, it’s still a super cost-effective way to get around the City of Light! Here’s how it works: There are 20,000 rental bikes stored in 1,800 racks scattered throughout the city, with the maximum distance between rental stands just 300 meters (and much closer in the city center). 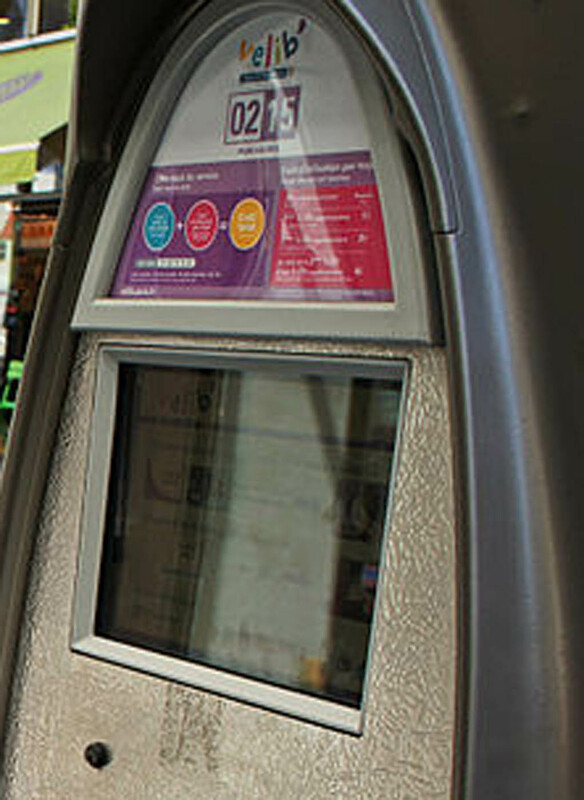 Parisians can use the service through their Metro passes. Americans (and other tourists) can register for the program online — it requires a credit card to serve as a guarantee against theft. A one-day ticket is just 1.70 euros (about $2,30), while a one-week pass is 8 euros (about $11, both of which can be bought online. Then you take the confirmation code Velib’ emails to you and enter it at any station that has bikes available for rent. The first 30 minutes are free, and pretty covers any one-way trip in the city. But if you’re looking for a leisurely ride, usage prices are quite cheap — 1 euro for u an an hour, 2 euros for an hour and a half, 4 euros for up to two hours. 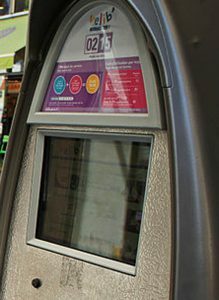 When you get to your destination, you simply insert the bike into any open space on a Velib’ bike rack, and the computer logs your rental as completed and automatically charges your credit card for any time-based fees accrued. It couldn’t be easier. Paris is a fantastic city to traverse by bicycle, and we highly recommend Saturday mornings up until about noon and Sundays until about 2 p.m. as largely traffic-free days in which to ride through the city center. The bike rentals are a great value and a terrific way to see the city any day, at any time, but for tourists who may need to frequently consult maps or may get lost among Paris’s tiny side streets, not having to worry about a lot of cars sharing the road with you is a major plus! 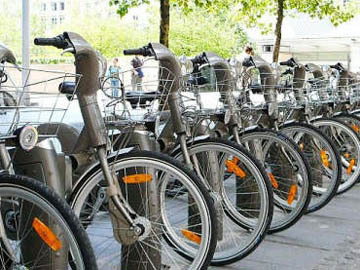 This entry was posted in Velib' and tagged "green" Paris, eco tourism, Paris by bike, transportation, Velib' by Bob Adams. Bookmark the permalink.